I will put my hands up an admit that when I first spotted packs of precooked rice in the shops I was a total food snob about them and thought it was something that I'd never use. How wrong was I?! I am a total convert to their convenience, flavours and versatility. Veetee have a fab range of Heat & Eat rice which encompasses both plain and flavoured styles. Basmati, Thai Jasmine, Wholegrain Brown, Pilau, Mushroom, Golden Vegetable, Chinese Style, Egg Fried and a further ten make up the full range. As such I was delighted when they got in touch and asked me to come on board and join the Veetee blogger community. I regularly use Veetee rice in a number of ways and there's always a pack in my storecupboard, if not someone's in trouble! 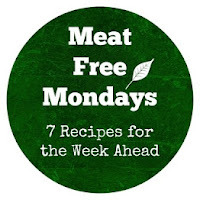 Perfect for quick stir fries, salads, as a side or to incorporate into a recipe. 2 minutes in the microwave compared to 25 minutes on the hob for brown rice. It's a no brainer. For many dishes its actually much better start with ready cooked and cooled rice. If you've ever tried to make Chinese takeaway style fried rice with freshly cooked warm rice you'll know exactly what I'm talking about. The recipe I'm sharing today is for a quick, delicious and satisfying meal that you might be tempted to call up your local Mexican takeaway for. However next time you're got a craving for a takeaway why not fake away it instead? Healthier on the body and the wallet I promise this dish will be much quicker to make than it would be to call in your order and wait for a delivery. 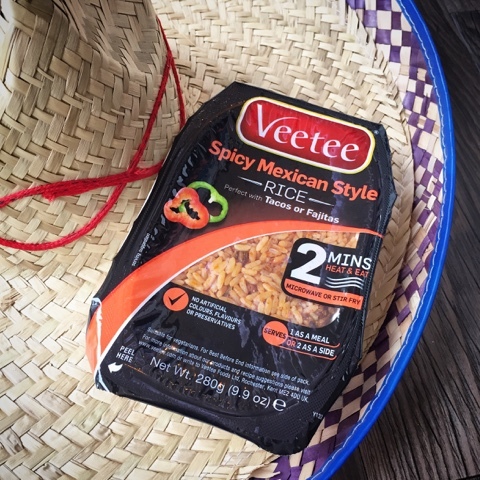 I've used the Veetee Spicy Mexican Style rice which is is packed with smokey adzuki beans, sweetcorn, tomato and jalapenos. 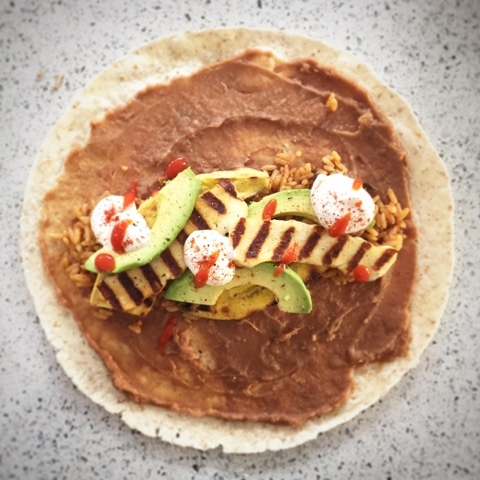 My Veggie Burrito with Halloumi, Avocado & Plantain is super quick and easy dish to pull together. Preparation is the key and once you've got all the component parts assembled its just a case of filling, rolling and grilling. Take a look at this How to fold Burritos Guide and you'll be a Mexican Fake Away expert in no time. Peel the Plantain, cut it in half and then slice it lengthways. Brush each side with vegetable oil. Cut the Halloumi into slices. 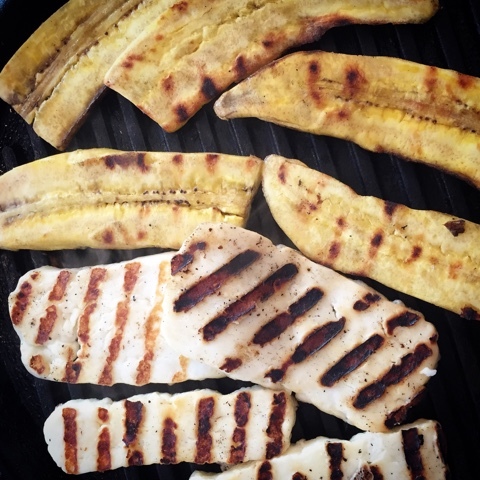 Heat a griddle or frying pan and cook both the Plantain and Halloumi until they are golden brown. Peel, destone and slice the avocado. Tip the refried beans into a microwavable bow and heat through for a couple of minutes. Heat the Veetee Spicy Mexican Style Rice in the microwave for 2 minutes and fluff up. With all the fillings prepared its time to preheat your grill and assemble the Burritos. 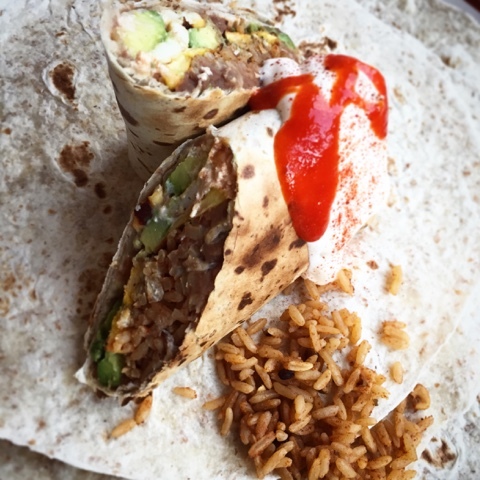 Spread a couple of tablespoonfuls of Refried Beans over the whole surface of a tortilla wrap. Then pile the fillings in a horizontal line in the middle. Don't overfull or you'll find it difficult to roll. 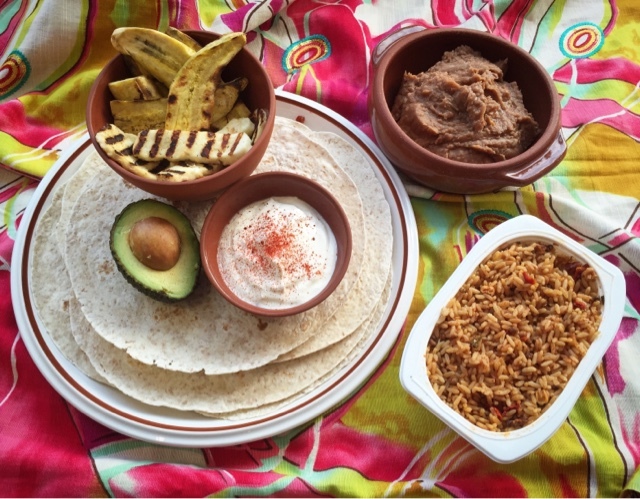 A couple of spoonfuls of Veetee Spicy Mexican Style Rice, three slices of avocado, two strips of plantain and a couple of pieces of Halloumi should suffice. At this point you can also add soured cream and hot sauce to taste and/or add them when serving. To roll your burrito turn in the two outer edges then roll tightly from font to back keeping everything nicely tucked in. Put the burritos under a preheated grill for approx 5 minutes turning once until crisp. Serve with soured cream and hot sauce. 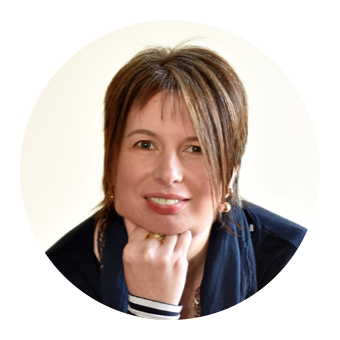 For further inspiration from the Veetee Blogger Community take a look at these fab recipes and keep your eyes peeled to see what rice challenge I'll be set next. Disclosure : This is a commissioned recipe for Veetee. All views expressed are my own. Mmm these sound rather fantastic! I do love the Veetee rice range! So handy! Thanks Elizabeth. So handy and such a huge range of types and flavours of rice. There are so many recipes where you need ready cooked rice to start with and these Veetee packs are the perfect solution. Adore plantain! And all these flavours. That rice makes it all look so nice and simple too! I'm a recent convert to Plantain. Had eaten it in restaurants but now I've found out where to buy it there's no stopping me! Veetee makes it so quick to put together. Wow, how did you get plantain up there in the North? I've never seen it for sale. This sounds like my kind of food Claire and it's making me very hungry. We have a fab international food supermarket even up here in the frozen North of Scotland! I love a veggie Burrito and Plantain is such a great addition. They sounds delicious, I love halloumi. I use microwavable rice quite a lot when I just can't be bothered to wait for normal rice to cook. It's a godsend when you've had a tough day at work. Yup I hear you. So convenient, especially for brown and wild rice which take forever to cook. Honestly its a gamechanger. Perfect stir fried, microwaved or as a salad. I haven't cooked with plaintain yet - but there are loads available in one of our local shops. I love halloumi and Mexican food though - I reckon this would be perfect for us! Give it a try, I didn't for years and now I love it. A great addition to my ingredient repertoire.